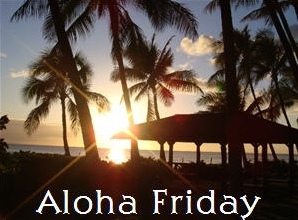 Welcome to this week’s edition of Aloha Friday, hosted by Kailani at An Island Life. Question for today: How do you roll? Over or under? I'll share my answer later. It really doesn't matter to me. However, my husband has to roll over. If I put it on the wrong way he has to change it.